SUNNYVALE, CA and NAPLES, FL--(Marketwired - April 06, 2016) - For the first time, U.S. taxpayers can make payments to the Internal Revenue Service (IRS) in their own neighborhood, without the need for a bank account or credit card. With the scan of a PayNearMe barcode on a smartphone at nearly 7,000 participating 7-Eleven stores, taxpayers who need to use cash for their tax payment can do so at the register, just as if they were purchasing a gallon of milk or a cup of coffee. Most stores are open 24 hours a day, seven days a week, making it easy and convenient for taxpayers to pay in their own neighborhoods, on their own schedules. A list of participating 7-Eleven stores can be found at www.paynearme.com/MTLocations. "Our bill payment solution is quick, easy, reliable and secure, which is why OfficialPayments.com is the longest tenured bill payment site for the IRS, having processed $14 billion in IRS tax payments since 1999," said Carolyn Homberger, group president, ACI Worldwide. "Today's consumers want convenience, as evidenced by the more than 75 percent of IRS electronic payments that are made through OfficialPayments.com via online or a mobile browser. Adding a new cash payment option that is mobile-accessible brings convenience, and another flexible payment option, which is powered by PayNearMe." To obtain a PayNearMe barcode, taxpayers visit www.officialpayments.com/fed, choose their IRS form type, and select 'Pay with Cash' as their payment option. They can elect to receive their barcode via email to print, or on their smartphone, which presents them with a list of the closest 7-Eleven stores where they can pay. Once the payment is made, taxpayers receive a receipt as proof of transaction. Payments are typically posted within two business days, although it is advised that taxpayers initiate payment at www.officialpayments.com/fed at least seven business days prior to their tax payment deadlines, due to the IRS' identity verification requirements. Each taxpayer's federal tax payment in cash must not exceed $1,000 per day and taxpayers can make up to two payments per tax period using this method. There is a small service fee of $3.99 for each payment. "Government agencies and payment processors use PayNearMe to collect cash payments for everything from utilities to bike share membership," said Danny Shader, founder and CEO of PayNearMe. "Customers appreciate when the organizations care enough to offer them payment options at convenient locations and the organizations are happy to automate traditionally time-consuming payment processes to enable payments 24 hours a day." "We're excited to be the first convenience store where taxpayers can make cash payments to the IRS through PayNearMe and OfficialPayments.com," said Keith Jones, Vice President of Communications for 7-Eleven. "We're always looking for ways to offer more value and save time for our customers, and this is a great way to do both -- taxpayers can grab their morning coffee and take care of their tax payment in one stop, without missing a beat of their busy day." To learn more about paying or partnering with PayNearMe, visit www.paynearme.com. To learn more about ACI Worldwide's OfficialPayments.com, visit www.officialpayments.com. 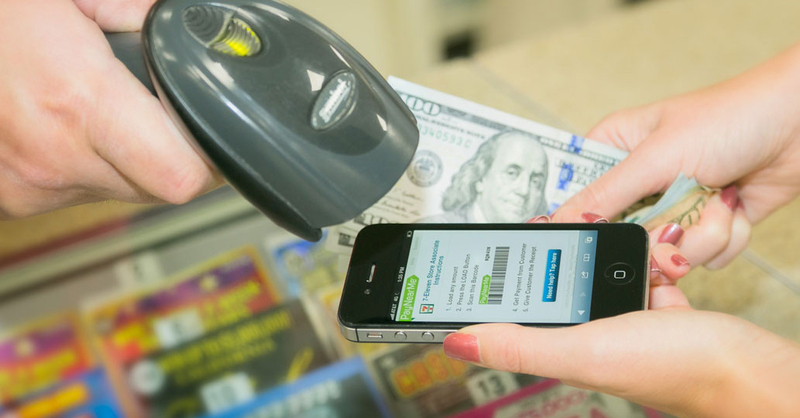 PayNearMe has been enabling government agencies and businesses to accept cash payments remotely since 2009. Using PayNearMe, consumers can make payments on their own schedule, in their own neighborhood, at one of nearly 17,000 trusted locations in the U.S., which include 7-Eleven®, Family Dollar® and ACE Cash Express stores. The company processes payments for Greyhound bus, California Department of Child Support Services and the city of Philadelphia's bike share program Indego, among others. For more information, visit: www.paynearme.com or download the free app from the Google Play store and iTunes App Store. Follow PayNearMe on Twitter: @PayNearMe. ACI Worldwide, the Universal Payments (UP) company, powers electronic payments for more than 5,000 organizations around the world. More than 1,000 of the largest financial institutions and intermediaries as well as 300 of the leading global retailers rely on ACI to execute $14 trillion each day in payments. In addition, thousands of organizations utilize our electronic bill presentment and payment services. Through our comprehensive suite of software and SaaS-based solutions, we deliver real-time, any-to-any payments capabilities and enable the industry's most complete omni-channel payments experience. To learn more about ACI, please visit www.aciworldwide.com. You can also find us on Twitter @ACI_Worldwide. With the scan of a PayNearMe barcode on a smartphone at nearly 7,000 participating 7-Eleven stores, taxpayers who need to use cash for their tax payment can do so at the register, just as if they were purchasing a gallon of milk or a cup of coffee.